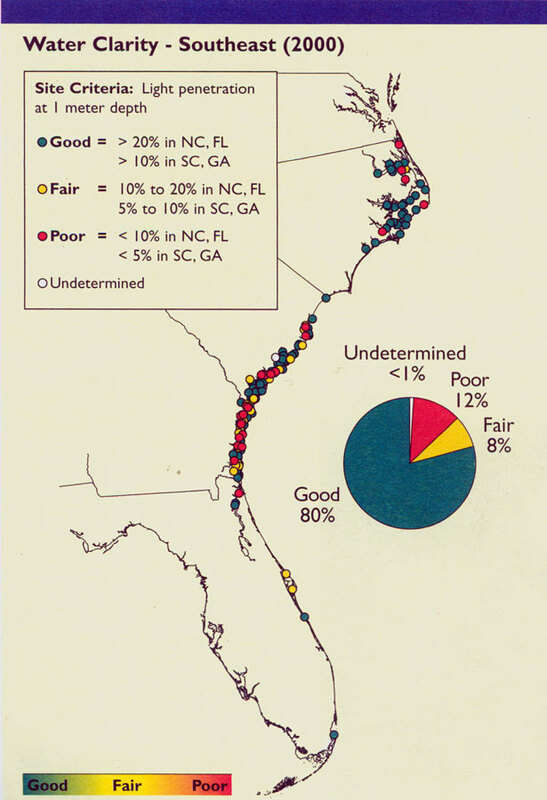 Description: Map shows water clarity in the Southeast United States during the year 2000 C.E. Levels of clarity range from good to poor. With some states percentages differing from others due to water conditions and locations.